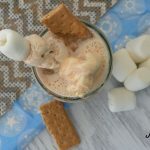 A S’mores Hot Chocolate Float is a fun way to combine two favorites into one drink that you can enjoy during the holidays or anytime of the year! One of our favorite treats any time of the year is hot chocolate. Even though it’s usually associated with colder weather I’m pretty much always game for a mug of hot chocolate. When I saw the Torani Toasted Marshmallow Syrup I knew exactly what I wanted to do- Smores! My husband loves to make his drinks fancy and we have always loved the Torani syrups because they are the perfect way to add flavor to your favorite drinks, whether at the holidays, or year round. I love how easy the Torani syrups are to use and how they are made with simple ingredients like pure cane sugar and natural flavorings. You can add a splash, or two, to your favorite drinks, whatever they may be. We love to try different combinations and then taste test each others creations. It’s so fun to connect with friends and family as we share our favorite combinations. I may have enjoyed this hot chocolate float all by myself one morning and it was marvelous! 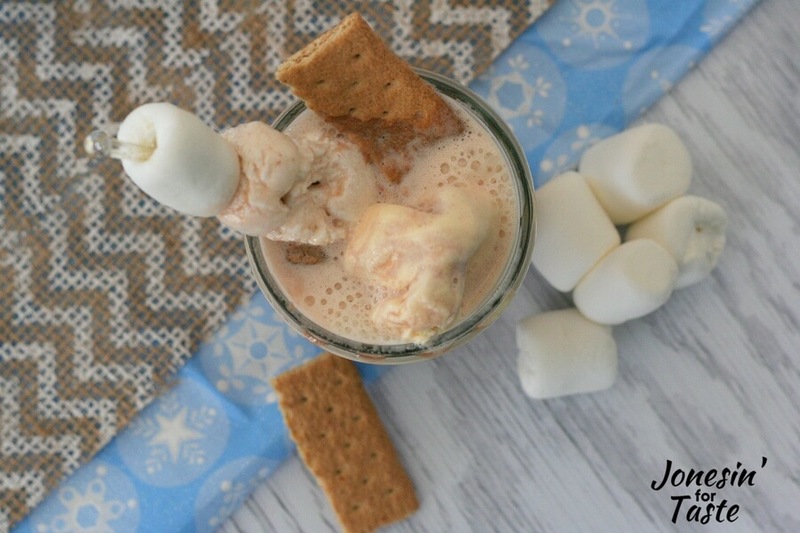 The marshmallow flavor really came through and the graham crackers added a fun element to the float. Combining the hot chocolate and the ice cream means you can drink that hot chocolate right away instead of waiting for it to cool down! Perfect for impatient little munchkins and mamas and papas! 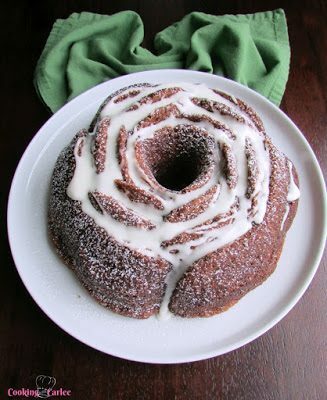 You could even use the Torani Bourbon Caramel Syrup for a yummy salted caramel version! 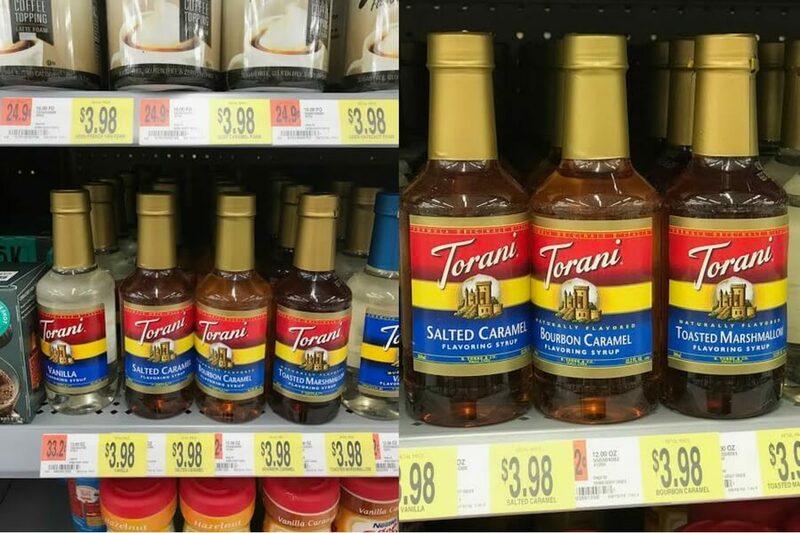 I found the different varieties of Torani syrups at Walmart on the coffee aisle. 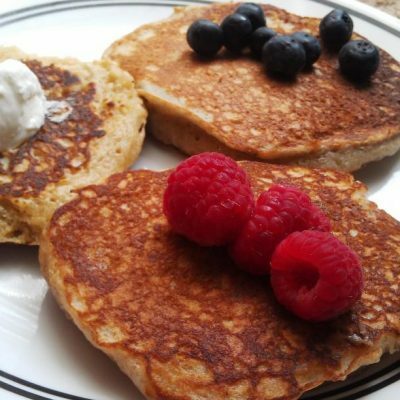 You can find a huge list of all of the different flavors and products they come in here! 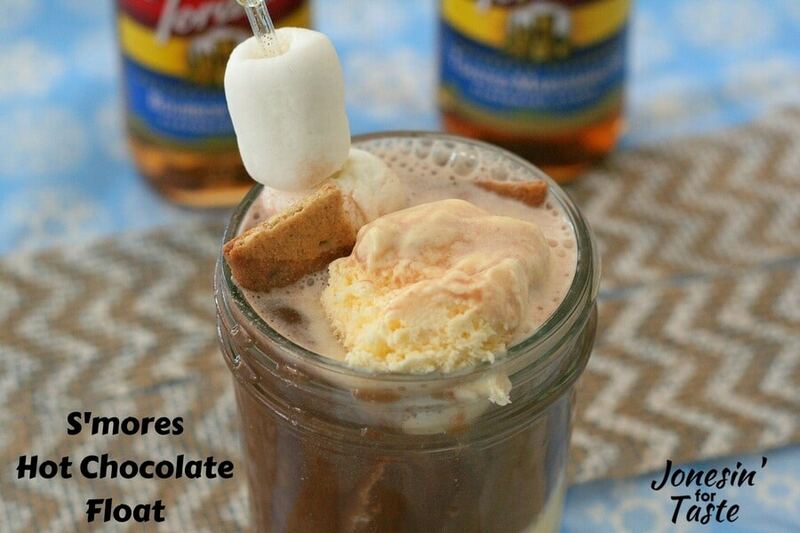 Using a large mug or mason jar, add 1-2 scoops vanilla ice cream. To prepared hot chocolate, add Torani Toasted Marshmallow Syrup and stir to combine. Pour hot chocolate over ice cream. If desired, add marshmallows and 1 or 2 graham crackers and serve immediately. Yummy! 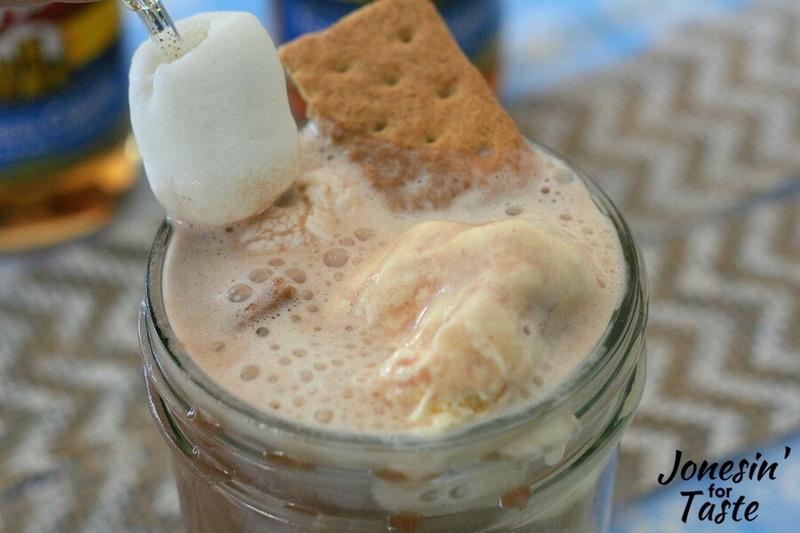 I love hot chocolate and love s’mores even more! Thanks for sharing this delish float! Thanks Elaine! I’m with you on loving hot chocolate and s’mores. Mine are begging me to do it again! It’s such a fun treat. This sounds so delicious. I love milkshakes and floats. 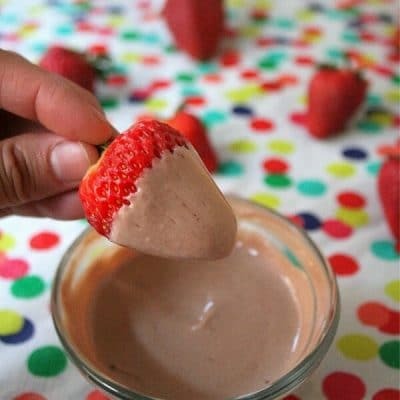 Making this would be a great dessert. Here in Florida we would enjoy this year round. I agree. I’m always game for any kind of float!